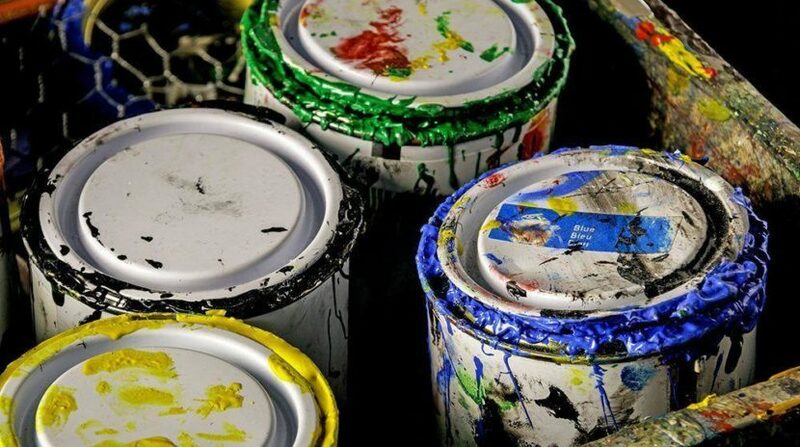 Are you about to paint, and want a way to prevent the drip of messy paint cans while painting out of those pesky cans and trays? Believe it or not – there are simple solutions you may not have even considered that will prevent the drips, smears and splashes you seek to avoid. Head for the kitchen for a mind-bogglingly simple solution to splashing, spattering paint. Get a sturdy rubber band big enough to stretch the length of your can – leaving a tight band just above the colorful liquid. This is ideal for carefully wiping the excess paint off your brushes to avoid the rim, preventing the running drips along the can sides, and potential splashes onto your drop cloth you might step in and spread around, later. When in Doubt – Get a Spout! Do you need to pour your paint into a tray, another can or into a small cup for easy transportation to new work areas? Try getting a paint can pour-spout. They can be found at your local hardware store. Save money by painting yourself if you have the experience, confidence and tools to do the job well! Learn more about how to save time, money and energy with your do-it-yourself repair, painting or home improvement projects. Contact your local San Diego Pro Handymen or call us if you need a professional technician to take painting, drywall repair, picture and shelf hanging and so much more off your To Do list.